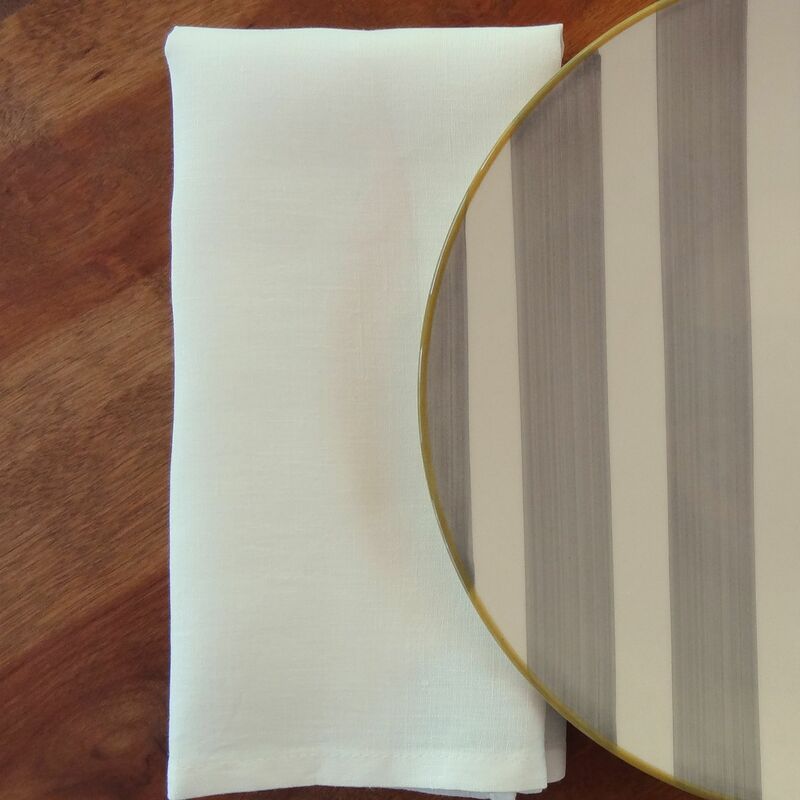 Set of 4 white linen napkins. 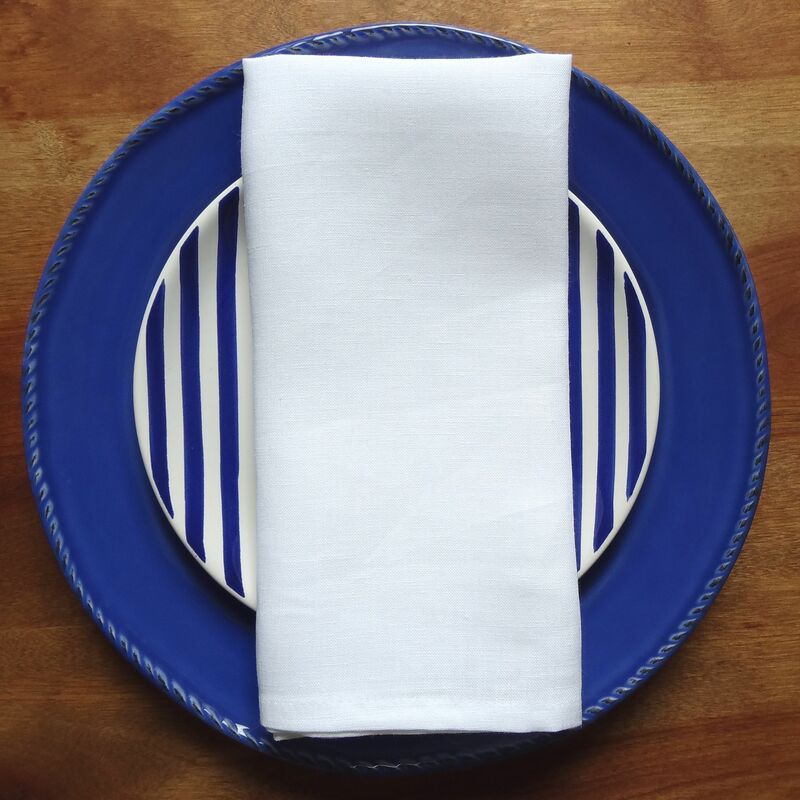 A classic white linen napkin from Libeco’s Vence Collection. The collection is popular throughout Europe due to it’s high quality and the selection of understated but gorgeous colors one has to choose from. 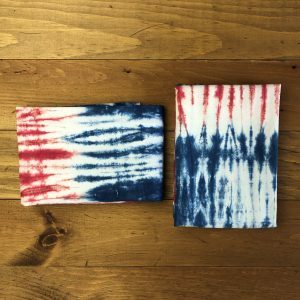 The “Everyday Napkins” from the Vence collection add just the right touch to your table setting and are absolutely perfect for casual or formal entertaining with friends and family. 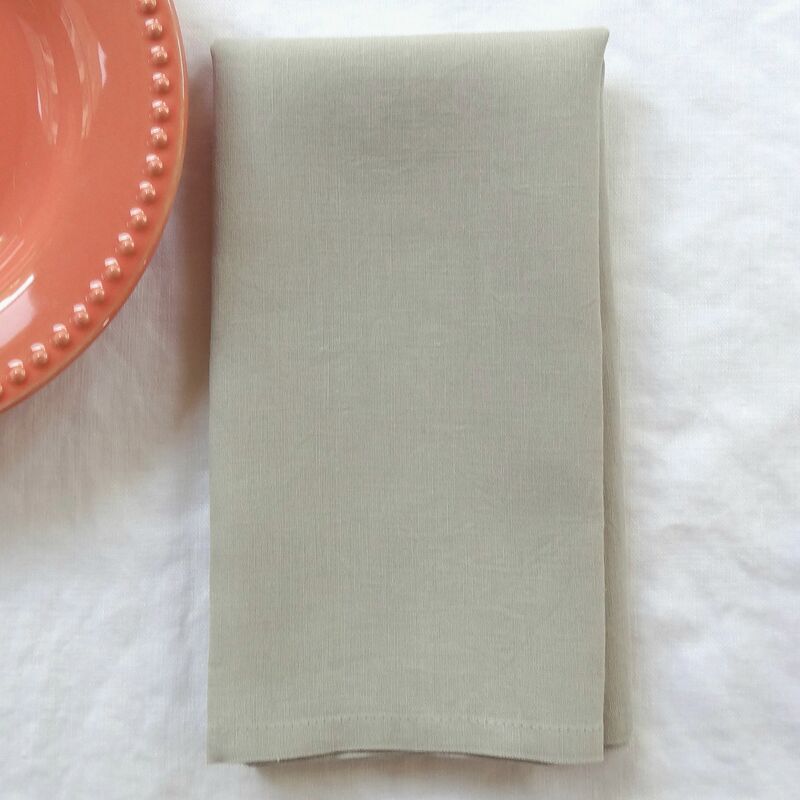 This linen napkin will make a beautiful gift for any occasion. Perfect for birthdays, holidays, bridal showers, housewarming or a thoughtful hostess gift. Libeco has been manufacturing linen since it’s establishment in 1858. The company is located in Meulebeke, Belgium, a small village between Bruges and the French border. This bucolic area is where the best quality flax is grown to produce linen. 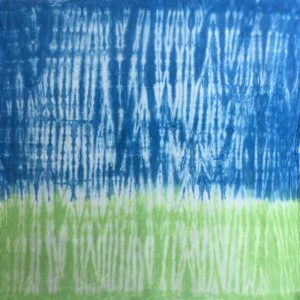 Today Libeco is known for it’s world class linen textiles and it’s understated but elegant designs.